The Blouch Dominator 4.0XT-R features our new state-of-the-art 60 lb/min fully machined billet "XT-R" compressor wheel in our own 3" inlet bellmouth compressor housing, low friction low inertia ceramic ball bearing system, a custom high flow low inertia turbine wheel and the new Blouch 10cm2 turbine housing. So what's the big deal? The new Blouch XT-R billet compressor wheels are simply amazing and outperform traditional compressor wheel aero by producing more horsepower and torque at lower boost pressures. 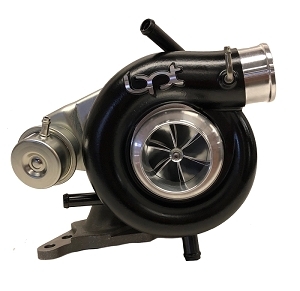 Born and bred in racing development, our custom low inertia turbine and ceramic ball bearing system are the mainstay of turbocharger performance. 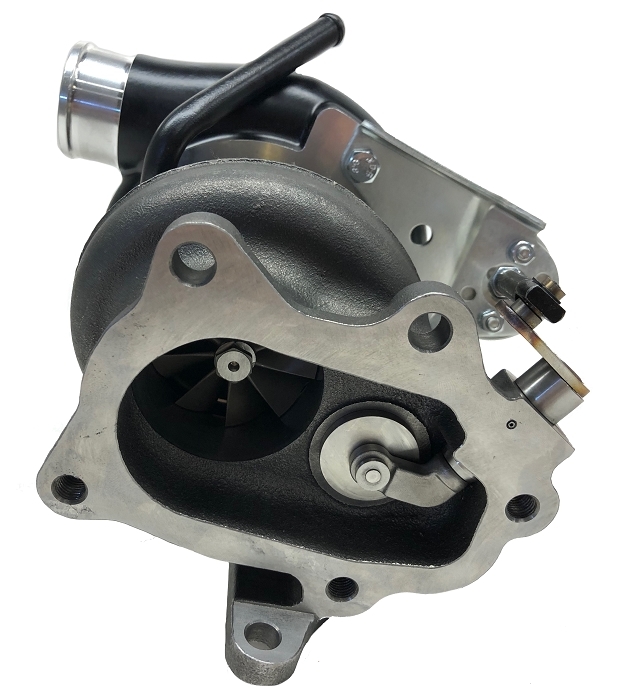 And the new Blouch 10cm2 turbine housing reduces turbine inlet pressure and engine pumping losses to free up additional torque and horsepower. 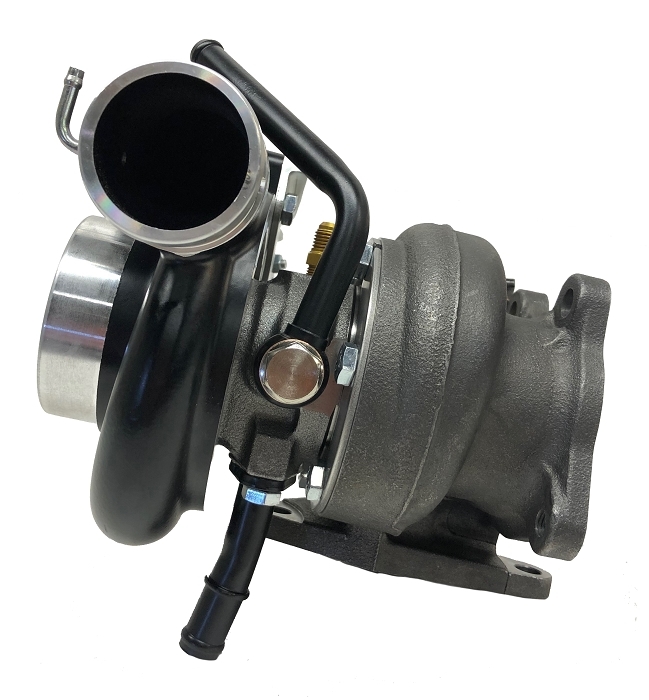 (These turbine housings work so well that customers have bolted them onto our competitor's turbos and significantly increased torque and horsepower). The big deal is a stock location bolt-on upgrade Subaru turbocharger using state-of-the-art technology that supports 600 crank horsepower efficiently with fitment that is unparalleled in the industry. 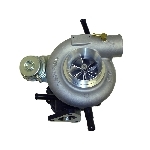 Only at Blouch Performance Turbo! 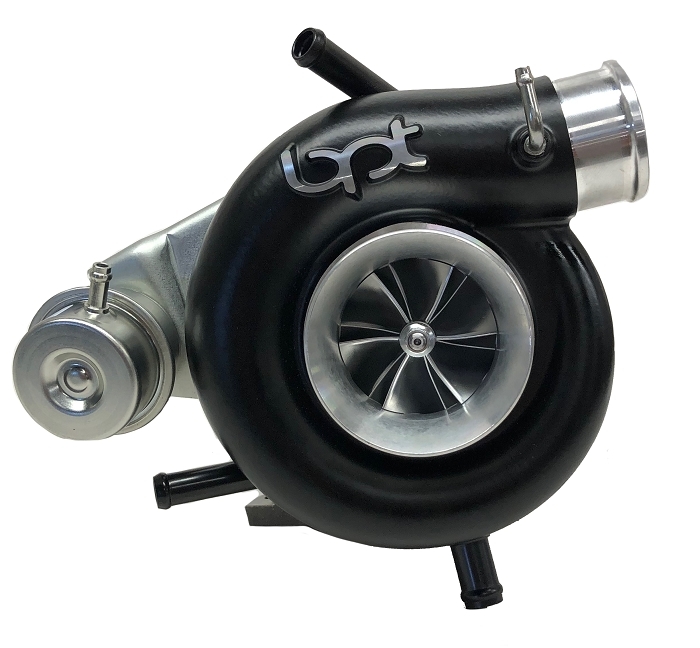 NOTE: The Dominator 4.0XT-R is a bolt-on upgrade that requires a 3" inlet. 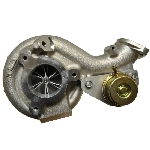 Blouch Turbo requires TGV deletes to be used with this turbo and strongly recommends an external gate to achieve maximum performance.